It goes without saying that the Nigerian healthcare system is at best a work in progress and due for an intervention. If you are not treating malaria, typhoid, or having a low risk pregnancy, things may not work out so well for you. I have had some experiences in this area, experiences that will live with me forever, and I have decided to use them to reduce these negative experiences for others. In Nigeria, we provide for ourselves electricity and water, but we cannot always prevent illnesses or be our own doctors. This is not to bash any hardworking professional in our healthcare sector, but to share tips to improve our chances for better quality healthcare. I have found that the following four factors are important in selecting a hospital. Any of these aspects can doom a patient. Once, a doctor asked me, ‘So what do we do now?’ I ran away. He was not sure what was wrong and was debating what test to send me for. A lack of knowledge is frightening. You want a doctor who knows what he or she is doing and won’t prescribe harmful medication to a pregnant woman only to apologize later. This happens. Many Nigerians today have to see more than one doctor to confirm simple diagnoses. We now actually have to check reviews. Ask your friends about that hospital you have been eyeing in your neighborhood and listen to the doctor when you visit. If in doubt, leave. Only you will bear the consequences. Arguably as critical as the knowledge of a doctor, it is important to note the kind of facilities your healthcare center has. Lab results may be unduly delayed. Even with a superb doctor, a hospital with a dearth of facilities is at best a consultancy center, useless in emergencies. Absence of electric power, ventilators, nebulizers, bed spaces have resulted in loss of life in Nigeria. Many hospitals are so unsanitary. Patients acquire more illnesses during admission. Patients arrive in an emergency and are required to purchase simple materials like gloves, syringes or tissues that will be used to treat them. Many Nigerian hospitals still treat patients with medication that the world has stopped prescribing due to unnecessary side-effects. Our lives should be worth more than this. 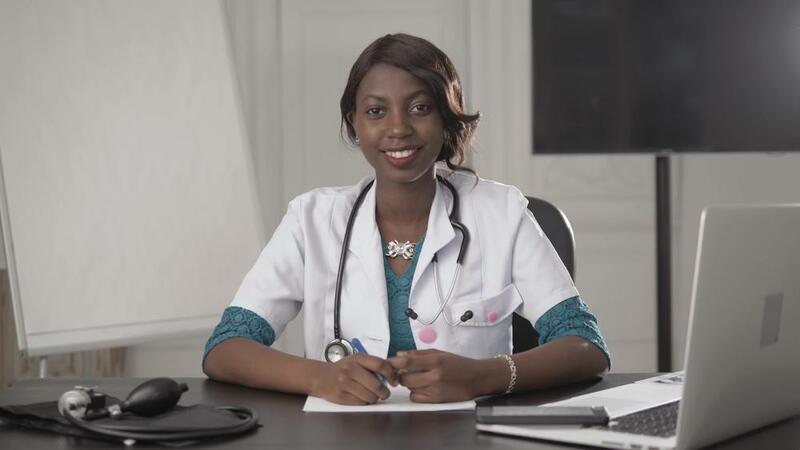 The Nigerian nurse has become a common trope. We laugh about how mean nurses can be, and how we have to cajole them to work, especially in public hospitals, but the negative consequences that result from this lack of empathy and professionalism are not funny. A close relative was ill and went to the hospital. For hours there was barely any treatment because we were waiting for some test result to determine the diagnosis. For an eternity we were reassured that the result would be out ‘shortly’ and it wasn’t until the family threatened to tear the place down that the lab confessed that they had lost the sample. They never did the test but, together with the nurses, kept lying, even to the doctors, that the result would be out. You can have great facilities and doctors, and it is the supporting staff that will mess you up. When choosing hospitals, we need to watch how the general staff behave. Some hospitals have great staff with the occasional bad apple, and there are hospitals where no accountability is enforced and the patients suffer the consequences. The efficiency of staff greatly determines the quality of care we get. Efficiency of process refers to how seamless the process is. A great affordable hospital with knowledgeable professional staff where 300 patients queue to see one doctor is not helpful. It is not helpful when the doctor prescribes the right medication but it takes so long to collect. It is dangerous when inadequate record keeping leads you on your follow-up appointment to a doctor who has no clue about your previous treatment. A situation where you spend more time talking to the billing department and health insurance company than your doctor would be laughable if it were not painful. This is the reason we have patients who die during ‘registration.’ Take time to note the efficiency of process at the hospital you visit. Is your follow-up doctor asking for everything but your name? When you complain, does anything change? A willingness to improve is promising. When choosing hospitals, it is important to consider all four factors and ‘pick your poison,’ if necessary. Personally, I wouldn’t compromise on the knowledge of the doctor. I do not mean that you should Google or WebMD your symptoms. I mean do not get to the doctor’s office after waiting three hours, hear ‘How can I help you?’ and start wondering what to say. Not all doctors can identify medicine by color. Get involved in your own health. So when the doctor asks what part of your stomach hurts, have your answer ready before you become a vehicle for trial and error. Keep your medical history. What drugs have you been using? Which do you react to? Having the right facts will guide the doctor in the right direction. When you are ill, you are less able to speak up for yourself and push the people you need to push. Some hospitals do not even tell patients their diagnosis. They just give drugs and may not even say their names. As the weak one who is tired and just wants to get well, you may not be able to ask the right questions. But if you go with someone, they’ll be able to speak for you to get you better service and maybe just save your life. You may also need someone to buy syringes and gloves for you. As they say, prevention is better than cure. The best way to avoid getting in trouble at Nigerian hospitals is to not go. Eat well, rest, and exercise. No matter how tempting, do not self-medicate. If you are not a doctor, don’t try to do what doctors do. You don’t want something to take catarrh away from you and give you pneumonia in the future. Routine check-ins are also important. Overall, Nigeria is a country where we survive and prosper mostly ‘in spite of’ the environment and not ‘because of’ it. Our health care professionals are people too and there is no adequate funding to the sector or remuneration for its workers so we are all ‘managing.’ Hopefully, these tips have helped equip us in making better choices for our health care, pending when the government wakes up for better regulation. Are there any more tips that can help us get better quality health care at Nigerian hospitals? Share in the comment section. The post Tolu Adeyemi: Make Your Hospital Visits More Seamless appeared first on BellaNaija - Showcasing Africa to the world. Read today!.